One of my favourite Christmas activities is putting up the decorations and designing our Christmas window. At home, our decoration scheme doesn’t change much year on year. When it comes to our tree I am very much a fan of chucking everything on it, multicoloured lights and all. The only item not allowed is tinsel, that is where I draw the line! I love how the tree becomes a scrapbook full of memories, ornaments made by the kids, given by loved ones or passed down through the family. It’s fun and personal and I wouldn’t have my tree at home any other way. However, for the Saal Design window I get to unleash my designer and curate something a little different. This year I wanted to create a window that was luxurious and rich. I wanted drama and sophistication. 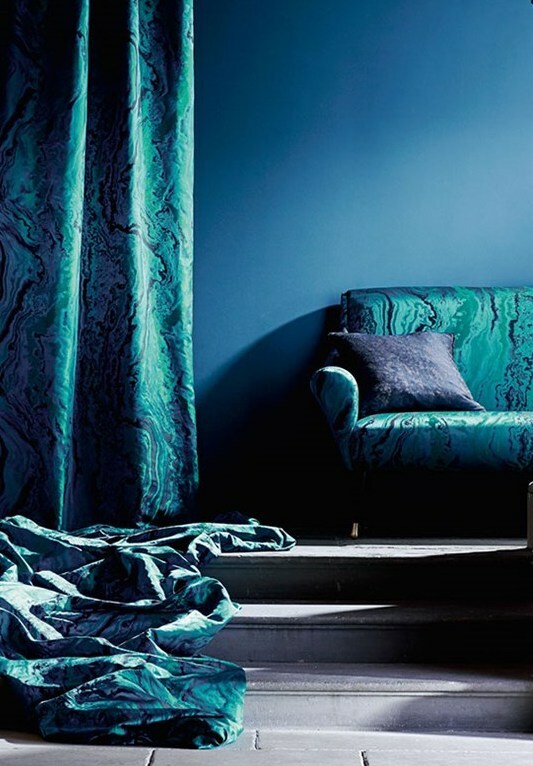 Seeing this stunning fabric (below) from Zoffany gave me my starting point. 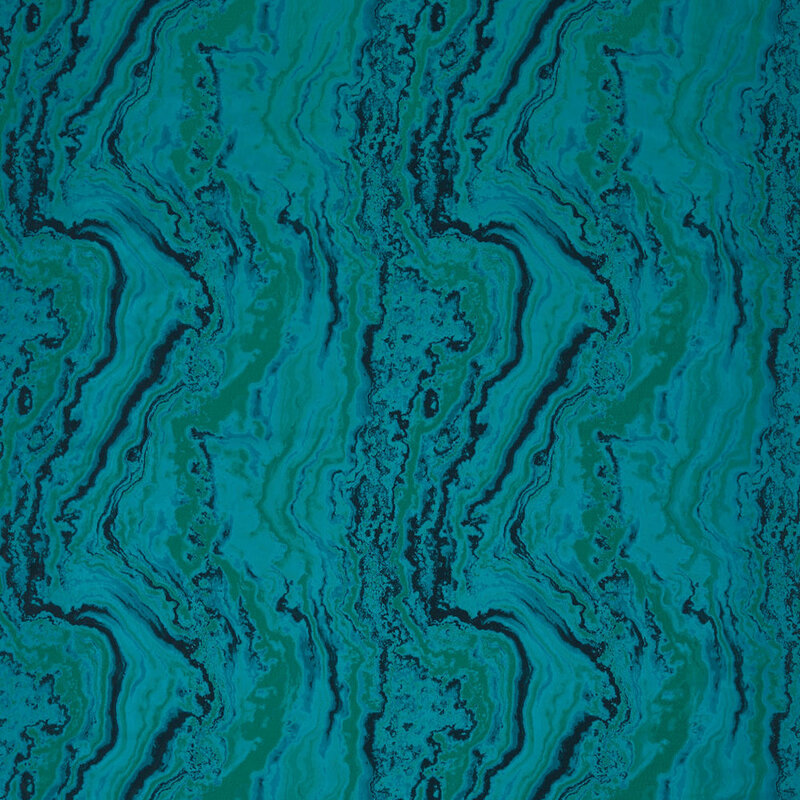 The vibrant blues and emerald greens are a feast for the eyes and act as a perfect statement piece. 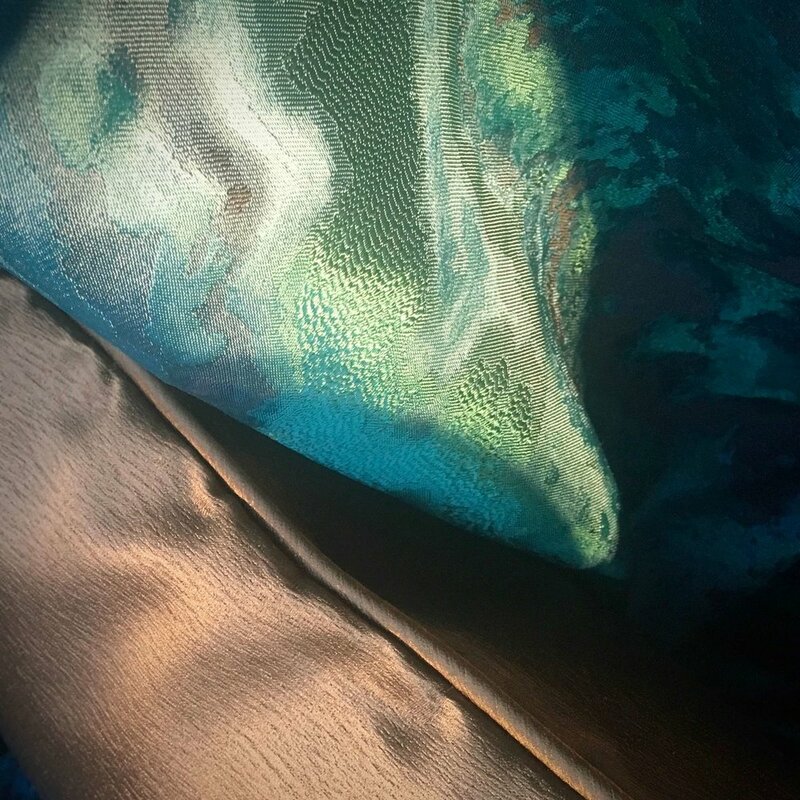 The jewel-like colours of the fabric made me think of treasure. 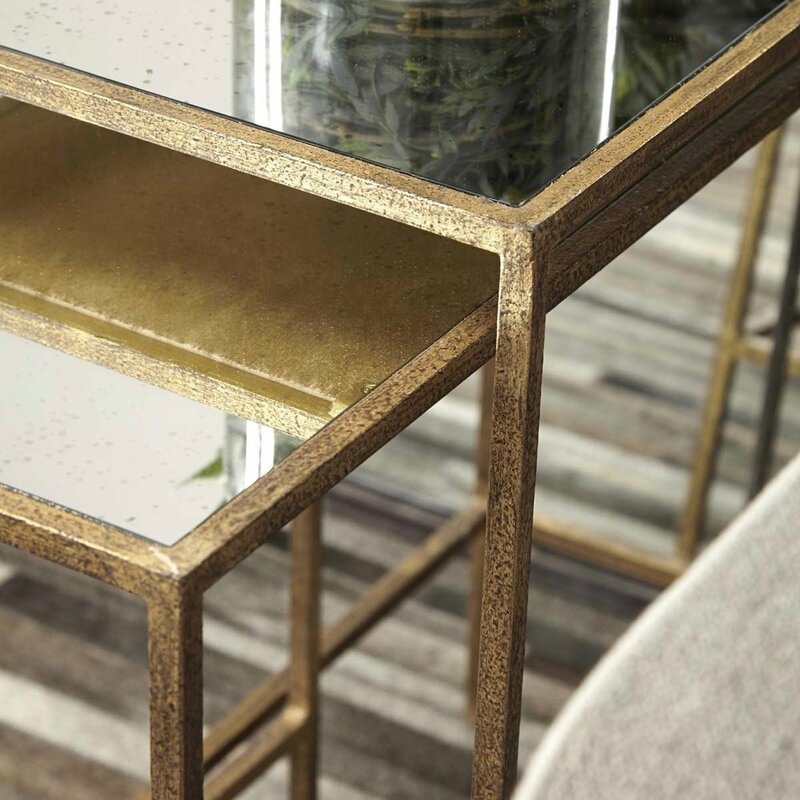 Alongside a panel painted in a Mylands deep green, this gave me the perfect backdrop to showcase these elegant golden framed nest side tables (below) - a product I am extremely excited to use more of in 2018. With the key elements in place I then had some fun designing the cushions. 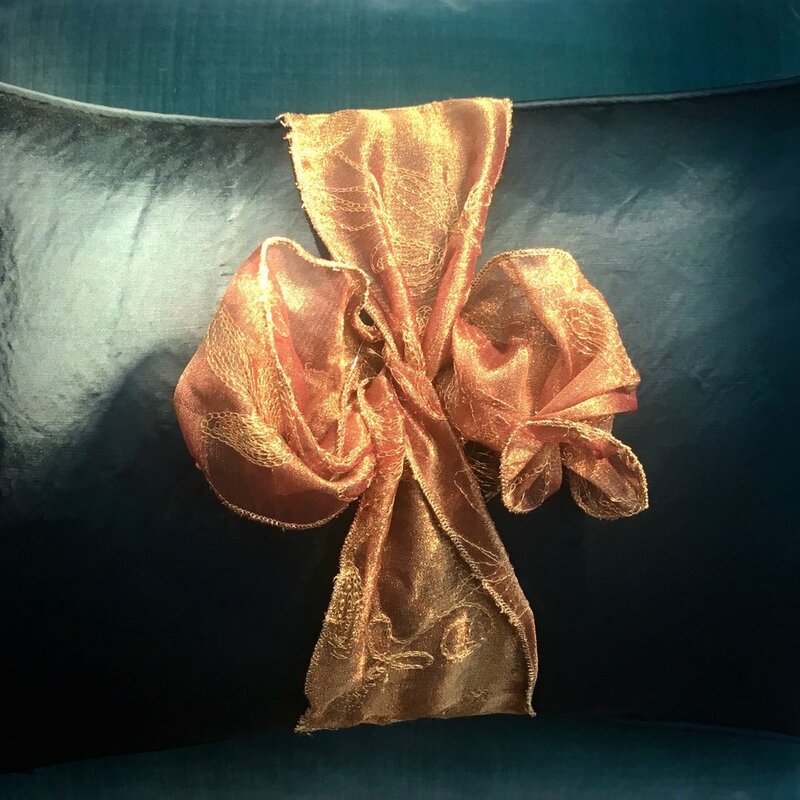 Simple yet opulent silk and velvet cushions act as gems and, with the addition of a ribbon, become stacked presents! The only last job was the elf work of decorating the tree using decorations of deep green, zealous blue and warm metallic to unite the whole scheme. I hope you had as much fun as we did decorating for the holidays. Pop by the showroom to see the finished result or to ask about any of the products featured - we also have mince pies! In the meantime, all of us at Saal would like to wish you a very Merry Christmas and magical New Year! Please note: The studio will be closed for the holidays from 22nd December until 2nd January. Please send any enquiries during this period to info@saaldesign.co.uk or leave a voicemail on 01926 334 556 and we'll get back to you in the new year.